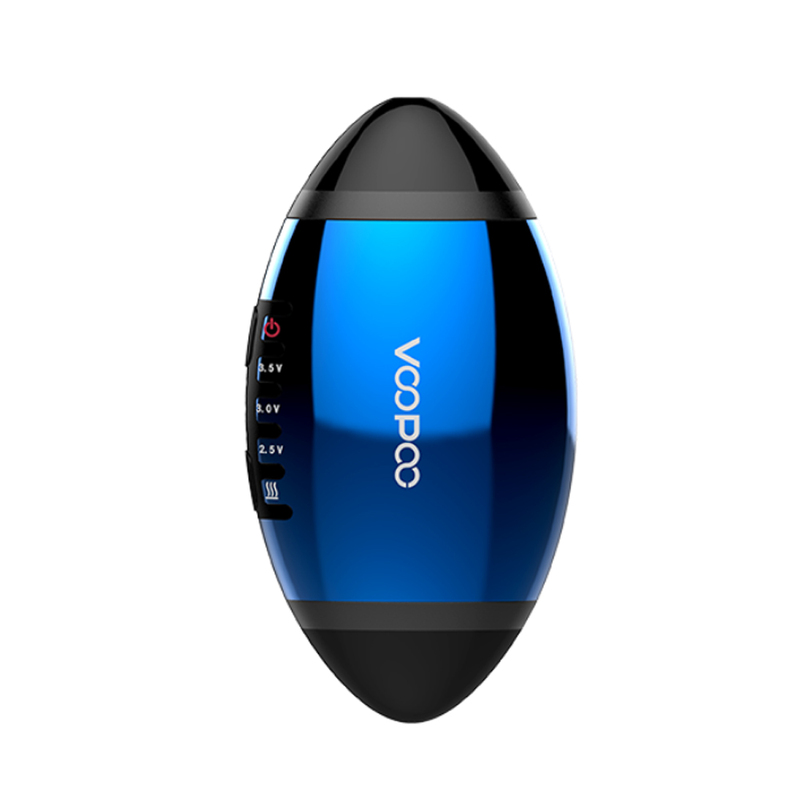 VOOPOO VFL Pod System Kit looks like an American football model. 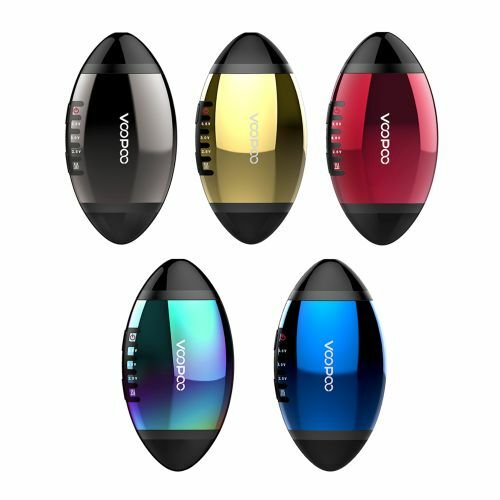 It is covered by vacuum-plated aluminum alloy, which gives you smooth hand feeling. The VFL kit features 3 levels voltage to switch, you can always get your favorite taste with the 2.5V, 3.0V or 3.5V voltage options and preheating setting. 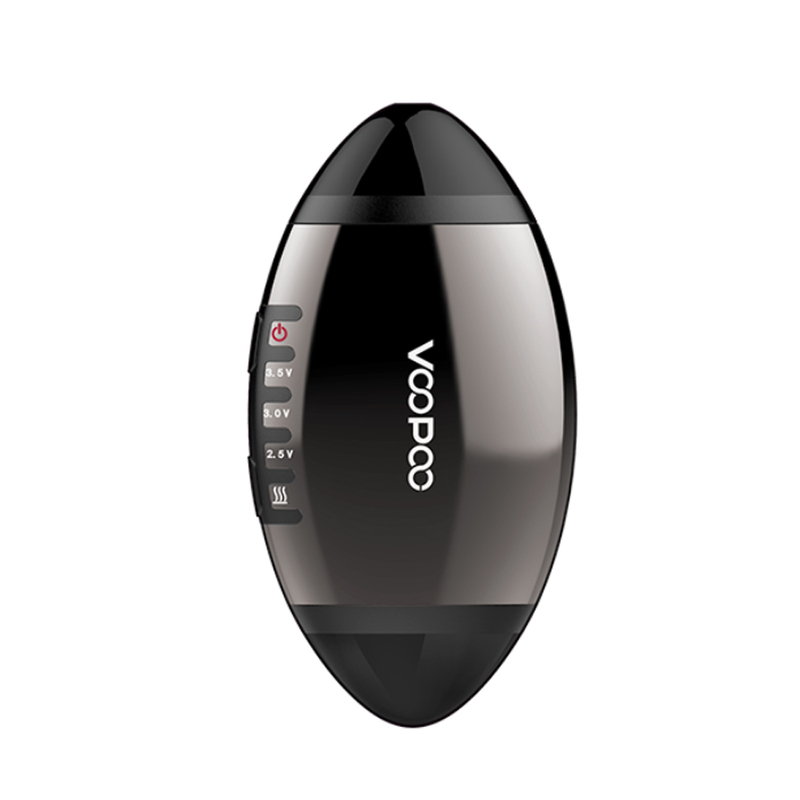 It is powered by 650mAh built-in battery and it will bring long-time vaping. 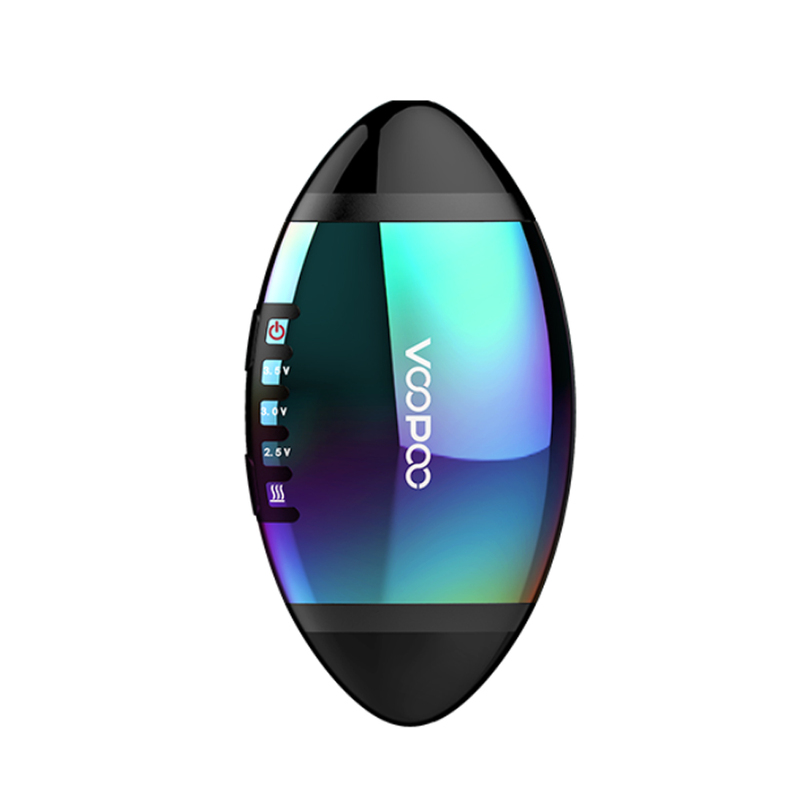 The pod cartridge has two different sizes airflow holes for providing huge vapor production. 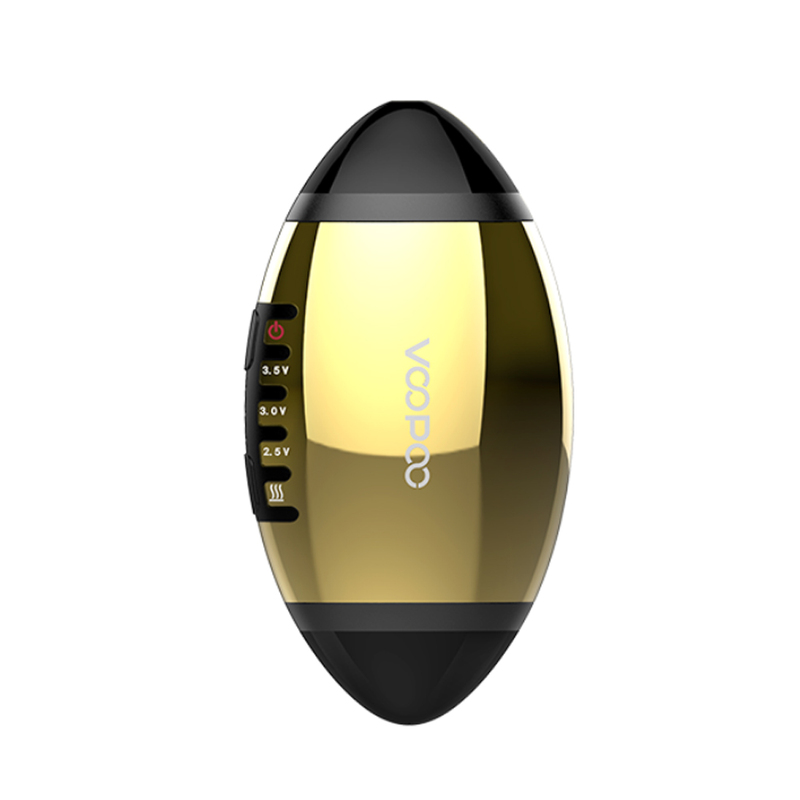 It utilizes Ceramic coil to keep the original flavor.